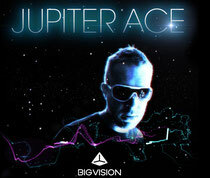 On the 14th February, Irish house music supremo, Jupiter Ace, will unleash his brand new label Big Vision, a joint venture with seminal house label, Strictly Rhythm, aiming to inject new blood into the electronic music scene. 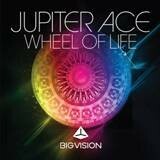 Its first release will be ‘Wheel Of Life’, produced by Jupiter Ace himself, with the intention of kick-starting as it means to go on. This huge track features a massive synth riff, with a distinctive sound and as its title suggests, it takes the listener on a journey with a giant melodic hook you could lose yourself in, and huge drops that will shake the dancefloor to its foundations. Dubbed “Ireland’s answer to Eric Prydz” by Mixmag, Jupiter Ace has proved himself time after time with his big room, hook-laden productions. His career was launched by the massive club hit “1000 Years” in 2005, catapulting him to No 1 in the Buzz and Cool Cuts charts and onto dancefloors around the world. Recent times have seen Jupiter Ace, a.k.a Gregory Ferguson, complete high profile remixes for the likes of Sony, Ministry of Sound and Universal Music, as well as producing international No 1, platinum-selling hit, ‘Dirty Talk’ for Wynter Gordon (Atlantic Records USA).